Indigo Dreaming: More Medical Matters.. This is wonderful news!!!!! I am so excited......See the doors are beginning to open for you!!!!! "Praise the Lord" is right, thank you, Jesus, and Jezz and Matt and Kassie, and all of you angels gathered around my dear friend! I will sleep better tonight knowing we are making a breakthrough....holding each other up...through thick and thin. Now get to the bottom of this pain...maybe an infection??? Let it be something simple and curable. Goodnight from here to there, Cheryl....I love you!!!! Hey Diane I too am excited! This has been a big week and there is so much to tell you all that I have to do it via blog or I would be typing for ages to get it all out. Unfortunately the pain in the arm has been horrific and I have had to 'double' up on medication. Some days I simply cannot go on computer although I have withdrawl symptoms like you would not believe. Today has been a good day although I have some news about the thrombosis and thanks to Pauls input I have more direction and know where I am going. Yes! Thanks to our angels and our friendships. It's amazing to me that you mentioned iridology. That was how I found out I had breast cancer. Iridology here in the states is not really recognized, nor are herbs for healing...although some doctor's now are beginning to recognize the healing powers of herbs. I thank God every day for his healing herbs. God Bless you my sweet friend and keep the faith. Susan I am not sure that you remember although I did state somewhere that at the time of my original diagnosis I prayed to be led to the people that could help me and also to be given the gift of discernment to protect me from evil forces. I believe that is the reason that I have survived all of this and that there is work for me to do. I was in hospital in 1998 on enormous doses of morphine after being diagnosed with a mass in the pelvic wall. One of the nursing staff suggested seeing Nancy Evelyn as a herbalist. Nancy, whose books were closed at the time, answered the phone on the day I made the call. She was happy to take my on as a patient. I attribute so much to her. She was also one of two people I phoned from Melbourne at the time of Jeremy's accident. Both she and Paul have always been there for me. I feel truly blessed to be surrounded my amazing people. I believe I have been put here for a reason and it is up to me to find out what the reason is. Susan it is disappointing to know that the medical profession does not wish to see anyone succeed with a treatment for cancer. I understand more people make a living from cancer than die from it. It seems that for those of us who have faith, and a belief in ourselves, that there are ways to allow the healing to take place. Maybe my lesson is to live with cancer rather than to die from it. I pray for healing and receive many blessings. This blog is proof of that..
Of course it was also interesting to learn that more people die from thrombosis than cancer. There is a message. God Bless you my dear friend. 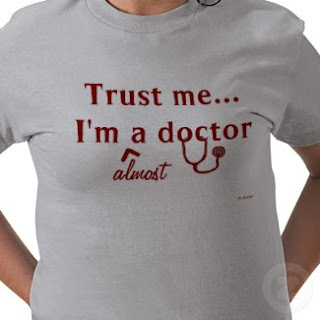 You are one lucky lady to have found a new doctor that you are happy with and is supportive of natural medicine. Hope he will help you with that pain. Diane I certainly think it is a bonus. I spoke to Ellen at the Herbalist and she spoke very highly of Mark. It is a blessing to find someone that will respect my choice with complimentary and alternative medicine. Wow! This is so good for me as normally I am ostracised..